For the first time, Brian Froud opens his private sketchbooks to personally select pages that span his illustrious thirty-year career as the preeminent faerie artist of our time. THE SECRET SKETCHBOOKS OF BRIAN FROUD includes some of his earliest drawings exploring the faerie realm though art created in recent years. These pages offer an exceptionally intimate look into BrianÃ¢â‚¬â„¢s process of creating his magical images. 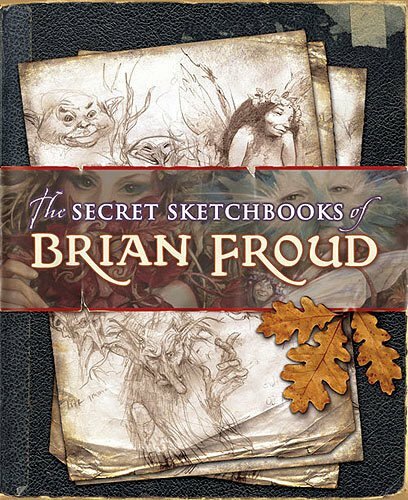 SECRET SKETCHBOOKS offers page after page of Froud faeries, pixies, goblins, trolls and other denizens of faerie, dramatically demonstrating why BrianÃ¢â‚¬â„¢s drawings, filled with of enormous energy and vitality, are always a favorite with his millions of fans worldwide. 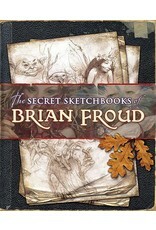 64 wonderful, full color pages of thoughts and sketches from Brian Froud. This is a softcover book with flaps and the art on the front and back covers has the appearance of an old, antique, worn and beloved leather book (only it's a softcover). First edition, published in 2005.